“Have you delved into communication modules yet with Arduino? Bluetooth opens up a world of possibility for your Arduino projects and using the internet of things. 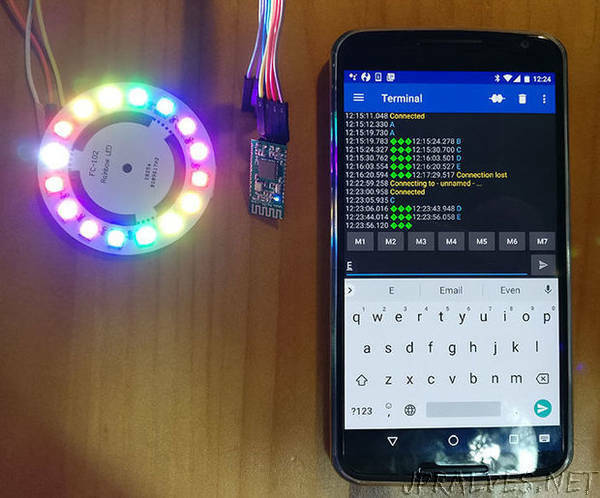 Here we’ll start with a baby step and learn how to control addressable LEDs with a smartphone app using an HC08 Bluetooth module. Afterwards, you’ll be familiar with a smartphone app you can use to control other modules with Bluetooth.